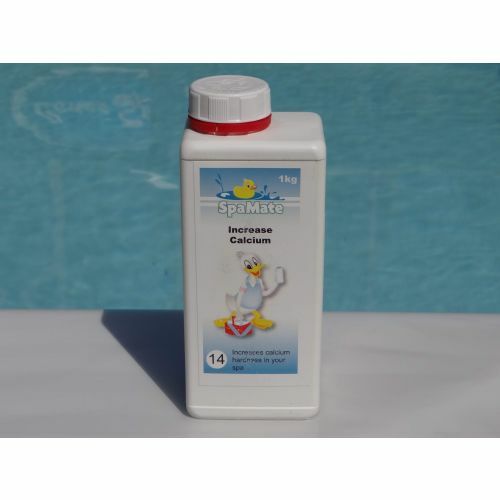 SpaMate One Shock is a specially formulated oxidysing treatment to enhance bather comfort and keep the water sparkling. 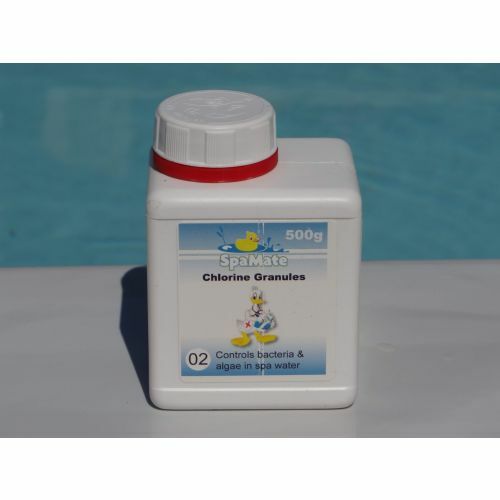 SpaMate Calcium Increaser is used to raise calcium levels to prevent the corrosion that "soft" water can cause. 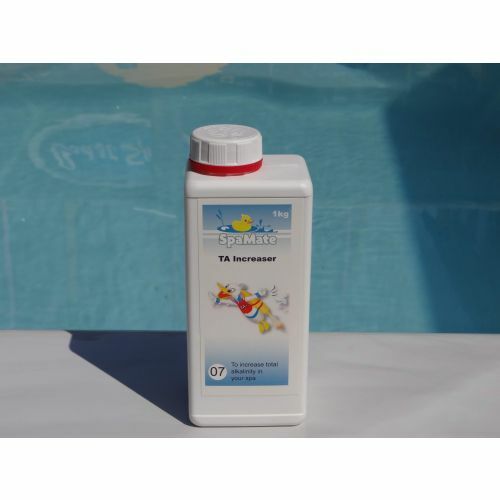 SpaMate TA Increaser raises Total Alkalinity in spa pool water. 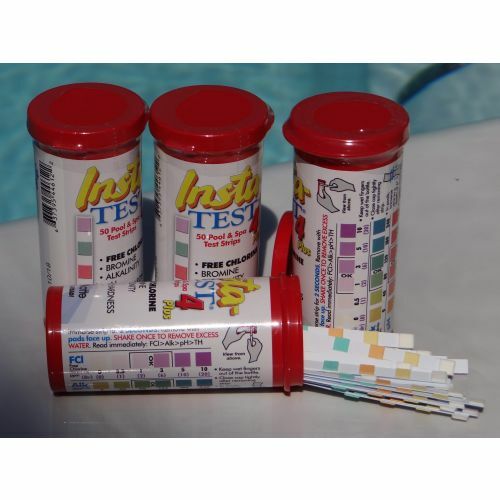 Easy to use 4 way Insta Test-strips for Free Chlorine, Bromine, Alkalinity and pH. 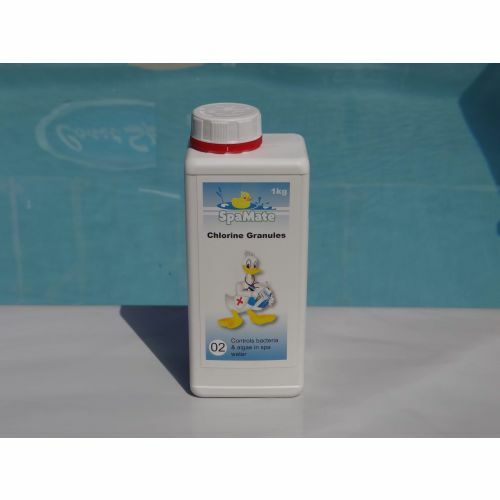 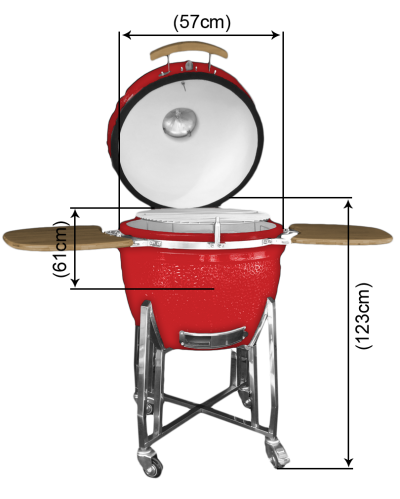 SpaMate Chlorine granules have the sanitizing power of chlorination in concentrated granules that dissolve quickly, completely and help prevent bacteria growth. 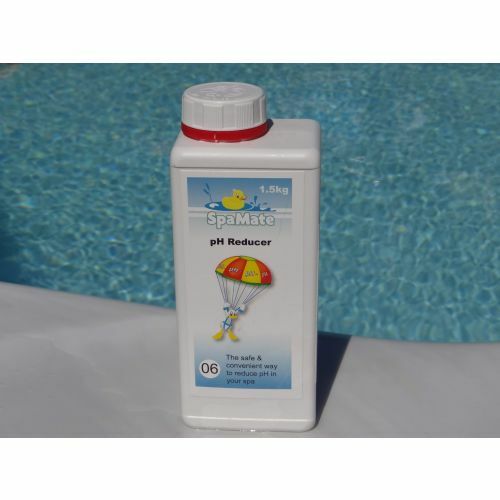 SpaMate pH Increaser is used to raise the pH of spa water. 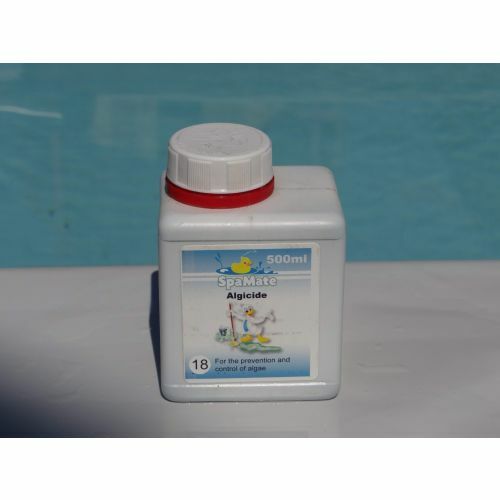 SpaMate Algaecide prevents sustained in pools.It helps to remove opacifiers and clarifies the water. 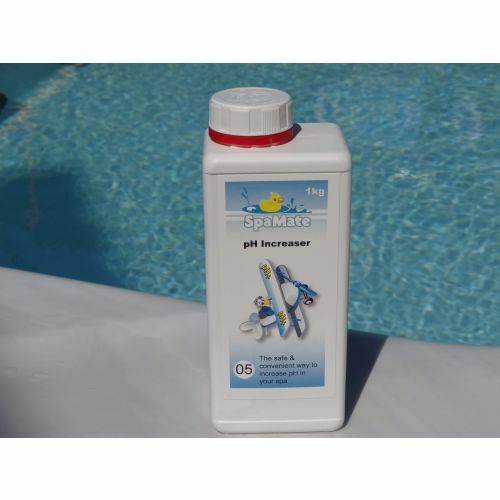 SpaMate pH - is used to lower the pH of spa water. 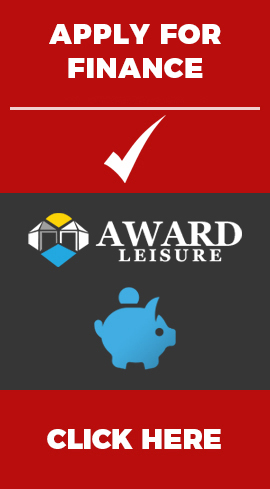 Proper pH control of spa water is essential to eliminate problems caused by pH being too low or too high. 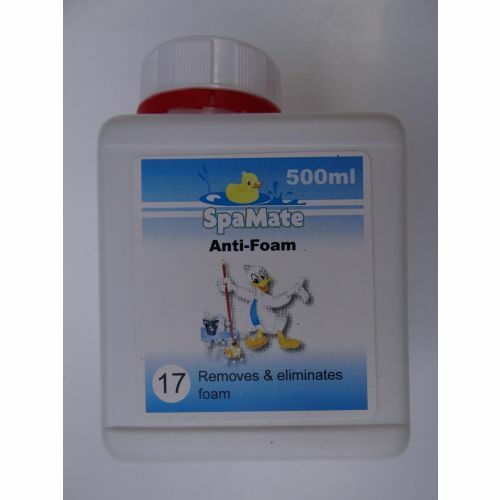 SpaMate Antifoam has been designed to quickly remove unsightly foam caused by excess undesirable bather compounds and detergents.